Preheat oven to 375 degrees. Melt the butter in a 10-inch cast iron skillet. As soon as it has melted, remove the skillet from the heat and whisk in the sugar. Spread the mixture evenly over the bottom of the pan. 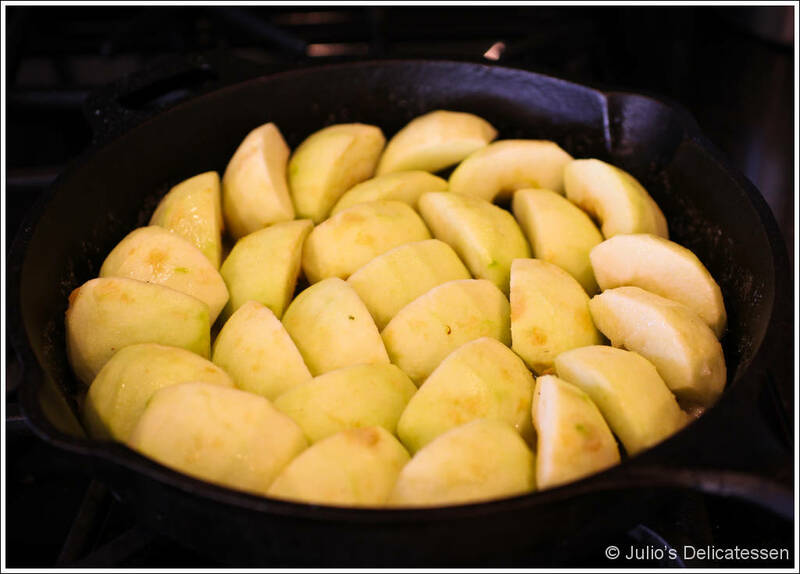 Place the apples into the skillet as compactly as possible. Place the skillet back over medium-high heat. 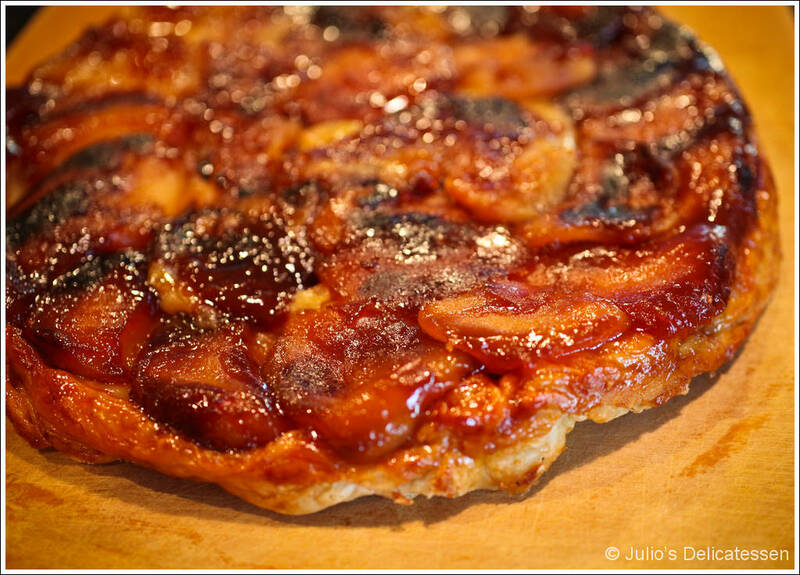 Cook for 15 – 18 minutes until the liquid is a deep caramel color and the apples are beginning to soften. 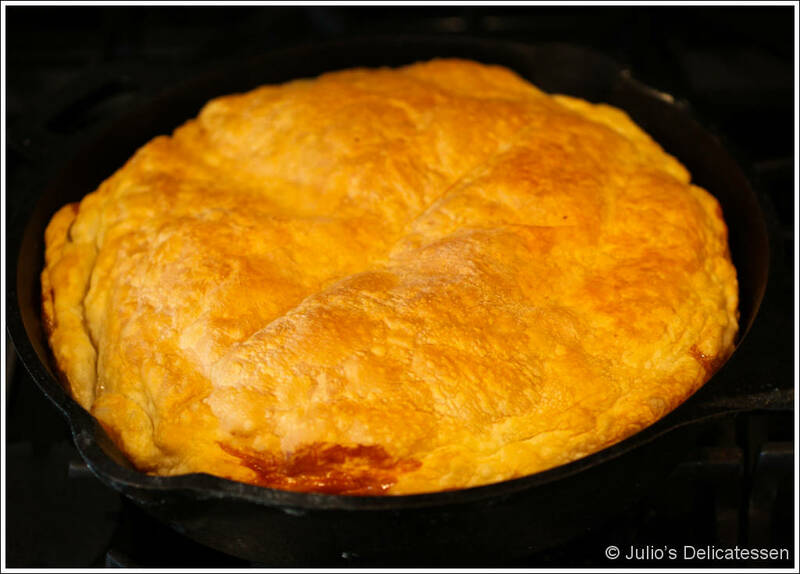 While the apples are cooking, roll the puff pastry into a circle just larger than the skillet. Set aside until the apples are done cooking. 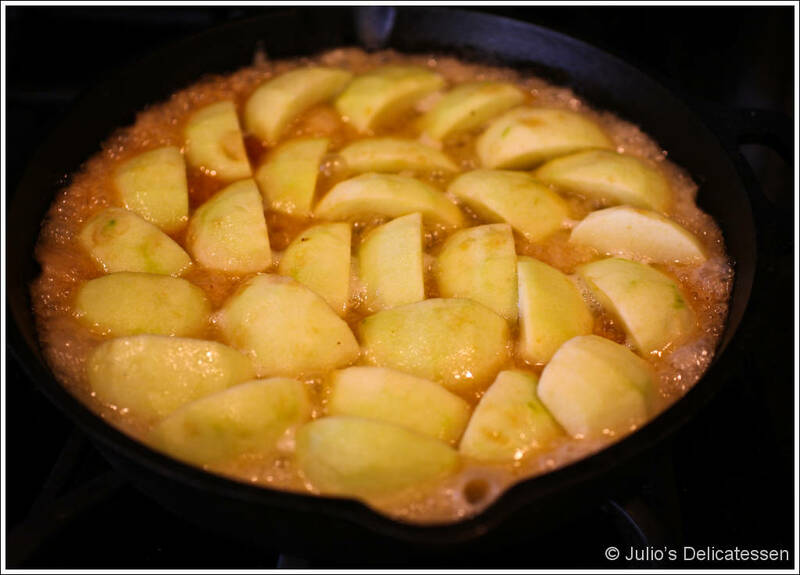 After the apples have cooked for 15 – 18 minutes, remove the skillet from the heat. 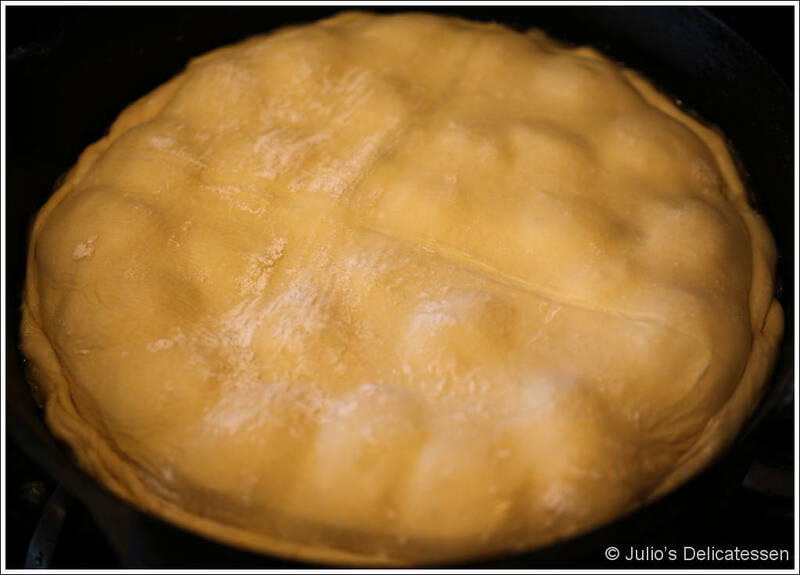 Place the puff pastry on top of the apples, carefully tucking the edges into the pan. Place the pan in the oven and bake for 20 – 30 minutes, until the puff pastry is golden. Remove and allow to cool in the pan for 30 minutes. Run a knife around the edge to separate the pastry from the pan. Place a large plate over the skillet and then quickly invert onto the plate. Drizzle any extra liquid from the pan onto the apples. Serve warm. I realized it’s new to me. Nonetheless, I’m definitely glad I found it and I’ll be bookmarking and checking back often!